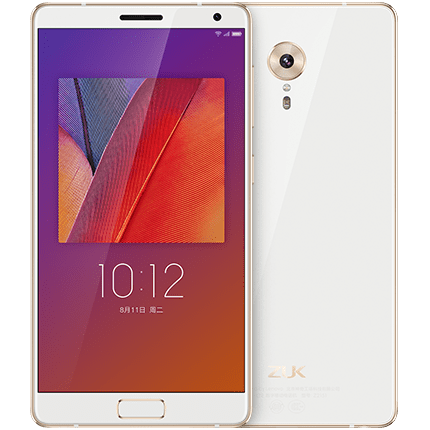 Lenovo has unveiled new device in its Zuk brand, with Zuk Edge priced at CNY 2,299 (roughly Rs. 22,500) for the 4 GB of LPDDR4 RAM variant, and at CNY 2,499 (roughly Rs. 24,500) for the 6 GB of LPDDR4 RAM variant. Available in Ceramic White and Titanium Crystal Black colors, the USP of the device includes 2.35 GHz quad-core Qualcomm Snapdragon 821 SoC with 5.5-inch full-HD Super AMOLED display featuring Corning Gorilla Glass and an 86.4 percent screen-to-body ratio. Other specifications include Android 7.0 Nougat-based ZUI 2.5, dual-SIM (Nano-SIM) support with an inbuilt storage of 64 GB. The device further houses a USB Type-C (v3.1) port and a unique under-glass U Touch fingerprint sensor which is touted to unlock the phone under 0.09 seconds, if the company claims are to be believed. Other unique features comprise of a built-in blood oxygen heart rate sensor, a pneumatic altimeter and a UV light sensor. On photography front there is a provision for a 13 MP rear camera with a 1.34-micron pixel Samsung ISOCELL sensor, an f/2.2 aperture, PDAF+CAF hybrid autofocus, and a high-brightness flash. The smartphone also packs an 8 MP camera on the front with a 1.12-micron pixel sensor, and an f/2.2 aperture. Powered by 3100 mAh battery with Quick Charge 3.0 support, its connectivity options comprise of 4G LTE, Wi-Fi, Bluetooth 4.1, GPS/ A-GPS. There is no word yet however for its release in India.